It is interesting enough but a lot of people expect that eating healthy will increase their grocery bill. And, indeed, it was proven to be true. Researchers from Harvard School of Public Health found out, that eating a healthy diet by including more vegetables, fruits, nuts, lean meat, and fish would cost you about $1.50 more per day per person (1). So even though the difference might not look too much at the beginning, but if you add the numbers for a family of four people, it will be $6 per day; multiply by 30 days and it will be already $180 increase per month! The numbers show, that it is more expensive to follow a healthy diet, including the Paleo diet. But does it mean that if it costs more, we cannot be on a healthy diet?- Absolutely, not. Here we will show you, that you will be able to eat Paleo on a budget by using these 10 simple tips. You probably wonder what food should you buy if you follow the Paleo Diet principles? Moreover, being on a budget, what food would you need to buy the first thing and leave the rest for another time? The Paleo diet is a very simple to follow the diet. It has certain food limitations, but other than that, there are no calorie count or macro count rules. The Paleo diet promotes foods that were available to our ancestors a million years ago. And even though we will not be able to reproduce the same environment, we still would be able to consume similar food groups that our ancestors used to eat. And you might ask yourself, why would you want to eat foods that we used to eat so many years ago, while it is the twenty-first century and we have so much food variety on the store shelves. The answer will be easy. Does the food you usually eat make you healthy? Do you reach for a snack right after you finished a full modern meal? Do you have high blood sugar, arthritis or any other inflammatory disease? Are you full of energy or prefer to stay on the coach most of the day? If you answered positively at least on one of the above-mentioned questions you would also want to know, that all these problems come from the foods we consume regularly; the food that is advertised to us as healthy and yet makes us sicker and sicker every day. unrefined virgin cold pressed oils (like coconut oil, olive oil, avocado oil). nuts or seeds (for example, almonds). This is the bare minimum list, however, you would be able to cover the majority of essential ingredients in many Paleo diet recipes. 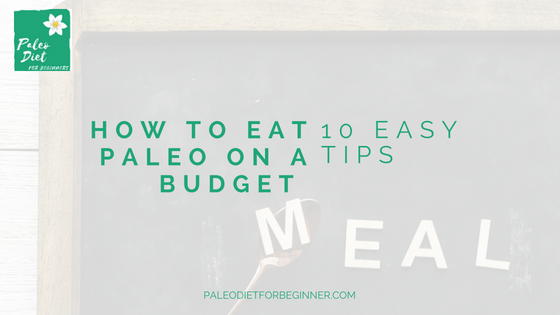 So now that you know what food is recommended on the Paleo diet, we will equip you with 10 tips on how to eat Paleo on a budget. Do you have a monthly grocery budget? If so, I know how hard it is sometimes to plan the meals that will satisfy your family members and yet to make sure not to overspend. Here we will discuss some tips that worked great not only for my family but also for many other families. Do not try to buy all the Paleo-friendly foods all at once. We have discussed above the bare minimum essential foods that you would want to have in order to start the Paleo diet. Some recipes, for example, baking recipes, call for almond or coconut flour. However, you would be able to make a homemade almond flour and almond milk by simply buying a pack of almonds. As of snacks, fruits, and vegetables, nuts and seeds would satisfy your current need. Also, cut and freeze ripen banana to make a banana ice-cream later through the week. If you think that you will need more Paleo foods in the near future to add variety to your diet, you could gradually buy it. For example, target to buy coconut flour this month and chia or hemp seeds the following month. Because these foods are not consumed on a daily basis, they will last you for some time. You have probably heard this recommendation before. Seasonal fruits and vegetables are usually priced less. But how would you know if certain fruits or vegetables are seasonal?- Here you will find the seasonal produce guide that will help you to understand what fruits and vegetables are seasonal. Some farmers markets have certain days and hours of operation. Produce farmers would like to sell as much as possible these days, because certain fruits and vegetables will not be good for selling next time the market is opened. Coming over at the end of the last market day increases your chances to get yourself a really good deal on fruits and vegetables. When you are on a budget, meat, poultry, and fish would be the most expensive items. However, we all know that we need protein to support our body processes and development. Sometimes meat would be priced at a discount when the expiry date is very close. You could still buy the meat and freeze it if you are not considering using it right away. Beef or chicken organ meets are usually priced at a bare minimum and yet it contains the most nutrients, especially liver and heart. It is probably not something you will be looking at right now; however, it might be a great option to consider in a near future or when you will have some extra cash to spend. The price of meat will actually cost you less in a long-term when you buy a cow or a half cow from a local farmer. Moreover, if you cannot afford the price of the full cow, you could see if some of your friends would like to share the price and split the meat. Just to give you an idea, we recently bought half of a cow meat with the total weight of 300lbs for $800. We shared the meat with another family, that allowed us to decrease our cost to $400. Now we have 150lbs of beef in the freezer that will last us for at least 4 months, assuming we will be eating meat 4 times a week for a family of 5. So it will be about $100/month or $25 a week. Not that bad, right? A lot of local farms offer organic eggs for a decent price. Some farms would even deliver your eggs to your doorstep. Some farmers also offer better prices when you buy a certain dozen eggs. For example, the farm that we usually buy eggs from charges $5 per dozen for the first 2; and if you buy 3 dozens the price is reduced to $4 per dozen. If you prefer to do your shopping at a supermarket, a lot of them offer weekly deals, including fruits and vegetables. It might look less convenient but you still would be able to plan your weekly meals with the weekly sales. Just base your menu on the on-sale items. Also, a lot of supermarkets offer a ‘points’ system. Another great way to spend these points on is ‘luxury’ items such as coconut or almond flour or even apple cider vinegar etc. A lot of us found that making a meal plan for a week and buy groceries based on your shopping list is cheaper compared with going to the store on demand. It will not take too much time to sit down and draft an approximate meal plan for a week. Once you understand what you will be cooking, it will also be easier to draft a shopping list. Having a shopping list will prevent you from buying an unnecessary item that might not even be used on time and might have to be disposed of. It is an easy tip but a lot of us forget to do it periodically. If you do not keep track of already existed items in your fridge or pantry, it is very easy to spend more money on items that you already have, while you could of use the money for something else. Make a habit to look through your fridge and pantry a day prior or right before going grocery shopping. Eating the same food for two days in a row might be boring. And there are plenty of options of how the leftovers could be re-used. Let’s say you made chicken or chicken breasts for dinner, have leftovers and do not want to eat the same staff the following day. Instead, you could cut the leftovers into pieces and make a chicken salad or even Paleo tacos. It is stressful to know that you can afford only that much to spend on food. However, it should not stop you from making healthy food choices. It was proven that healthy diets cost more, but there are ways of cutting the bill and still follow the healthy diet. We all know that our modern diet makes us sick and we have to spend hundreds of dollars a month on medicine. Interesting enough is that some diseases could be reversed as simple as with the diet change. Make your choice and be healthy! 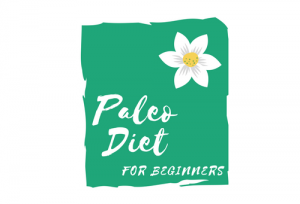 The Paleo Diet Basics eat paleo on a budget, paleo on a budget, tips to save on food. permalink. This is so helpful. I’m seeing more and more paleo dieting popping up and this article really points you in the directions if you’re just starting out. You are right, the Paleo diet is getting more and more popular. It promotes health and really once you adjust to the limitations, it truly becomes your lifestyle. The purpose of this post was to show that even if you have a tight grocery budget (that is actually true for a lot of us), there are still ways to cut your grocery bill and enjoy a healthy lifestyle. I wonder why we as the human race charge more to buy healthier foods. I recently switched to eating whole grain pasta, but it was more expensive than regular. It just boggles my mind. I do like the tips you give to help save some money though. My favorite is going to the farmer’s market towards the end of the day. That’s a great idea. Thanks for sharing these tips! That is an interesting question you asked. Why do processed foods cost less than whole foods? Well, apparently the government supports food industries who target the mass food production. And it is harder and harder for organic farms even to try to compete with these prices. However, if thinking of the healthy choices today, let’s think how much will we save on medications if we correct our diet right now and spend a few dollars more on whole foods.